Georgian Defence Minister Irakli Alasania took part in discussions on the future of Euro-Atlantic integration within the annual Brussels Forum. This was reported in a statement released by the Georgian Ministry of Defence on Monday. During the forum, speeches were delivered by the Deputy Secretary General of NATO Alexander Vershbow, Executive Director of the McCain Institute for International Leadership, Ambassador Kurt Volker, Prime Minister of Montenegro Milo Djukanovic and Chairman of the German Bundestag's Committee on Foreign Affairs Ruprecht Polenz. 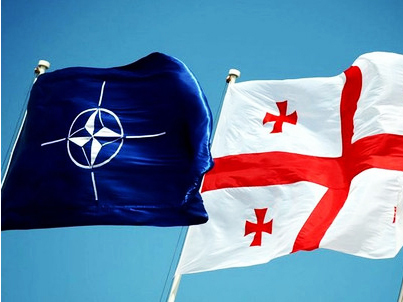 The Deputy Secretary General of NATO Alexander Vershbow reported on the expansion of the alliance which is central to the organisation's agenda. According to him, the decision adopted at the Bucharest summit on Georgia's accession to NATO remains in force. "Georgia has a unique status. This country received a very clear message at the NATO's Bucharest Summit that it will become a member of the alliance," Vershbow said. He also welcomed the efforts of Georgia to settle relations with Russia. Deputy Secretary General touched upon the reforms conducted in Georgia following the Bucharest Summit and mentioned the process that began after the parliamentary elections of October 1, as well as cohabitation between the government and opposition. "To date, among all non-NATO member countries, Georgia is the largest contributor to the international operation in Afghanistan. Also, Georgia has committed to developing regional security without the use of force," Vershbow said. As part of the discussion on 'The Future of the Euro-Atlantic integration', Georgian Defence Minister Irakli Alasania spoke about the on-going democratic reforms in the country. He raised issues such as the normalisation of relations with Russia, situation in the occupied territories as well as participation in the international operation in Afghanistan. The minister also answered questions about the prospects of Georgia's integration into the alliance. On the night of August 8, 2008, large-scale military action took place in Georgia, South Ossetia,. Later Russian troops occupied Tskhinvali and drove the Georgian military out. In late August, Russia recognised the independence of South Ossetia and Abkhazia. In response, Tbilisi broke off diplomatic relations with Moscow and announced the two unrecognised republics as occupied territories.